Who We Are | Goldstein Law P.C. In an increasingly complex business environment, you need experience and common sense advice. Goldstein Law, PC is a litigation firm with attorneys well versed in a wide variety of areas well suited to counsel their clients on matters from risk management to litigation. We work on a team approach which involves staffing each matter with attorneys having various levels of experience in order to provide the client with the most comprehensive representation, in the most cost effective manner. We have the depth of experience to handle all phases of such matters from pre-claim assistance through trial. At GLPC we provide all clients with the same level of personal attention whether they are individuals, corporations, or international insurance carriers. In addition to protecting the legal interests of our clients, we are also sensitive to the ongoing business relationships of our clients with their clients. We make quick and responsive communication with our clients our number one priority which has resulted in decades long relationships. Our mission is to provide clear high quality legal advice to clients that value a thoughtful, personalized approach to the myriad of problems that face businesses on a daily basis. 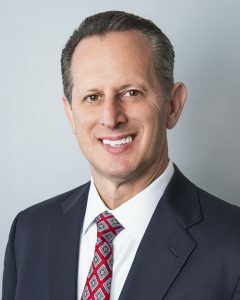 Steve is the Principal of Goldstein Law, PC, a firm providing complete legal representation to design professionals, including architects, engineers, and land surveyors, in addition to physicians, hospitals, nursing homes, lawyers and brokers. For almost 30 years, Steve’s wide range of representation has included everything from the pre-claim stage through trial, as well as mediation, arbitration, and other forms of alternative dispute resolution. Steve is skilled in providing a full range of legal services involving sophisticated business and risk management counseling to insurance companies and individual clients to assist in analyzing and minimizing liability exposure to avoid litigation. Steve routinely presents seminars, webinars, lunch-and-learn meetings, and authors an e-newsletter, as well as articles for insurance carriers’ and brokers’ newsletters, to assist his clients in addressing various issues they face in their daily practice. Steve also assists his clients in the review, negotiation, and preparation of project contracts. Steve has frequently defended clients in matters involving motor vehicle accidents, personal injury, premises liability, wrongful death, property and casualty, construction defects, New York Labor Law, nuisance, infliction of emotional distress, tortious interference with contract, copyright infringement, and environmental claims including soil and groundwater contamination, mold, fumes, waste water treatment, and exposure to asbestos.